One of 20 regional education service centers established by the Texas State Legislature in 1967 for the purpose of providing services to the schools within a defined geographic region. Region 10 ESC’s Dyslexia Program provides both regional and state assistance to districts, charter schools, universities, parents, service centers, and other entities in the area of dyslexia. Plano ISD works to provide an identification process, intervention, and appropriate instructional services for all students with dyslexia. Did you know PISD offers Read & Write by Text Help……to ALL students for their home computer? Can having a learning disability be an advantage when applying to college? Click here to see how learning disabilities can offer a college admission edge. Yale Center – What is Dyslexia? What is Dyslexia and what are the Treatments? A non-profit national professional organization incorporated in 1986 for the purpose of establishing, maintaining, and promoting standards of education, practice and professional conduct for Certified Academic Language Therapists. Academic Language Therapy is an educational, structured, comprehensive, phonetic, multi sensory approach for the remediation of dyslexia and/or written-language disorders. One in five American children has trouble reading. But they are not stupid or lazy. 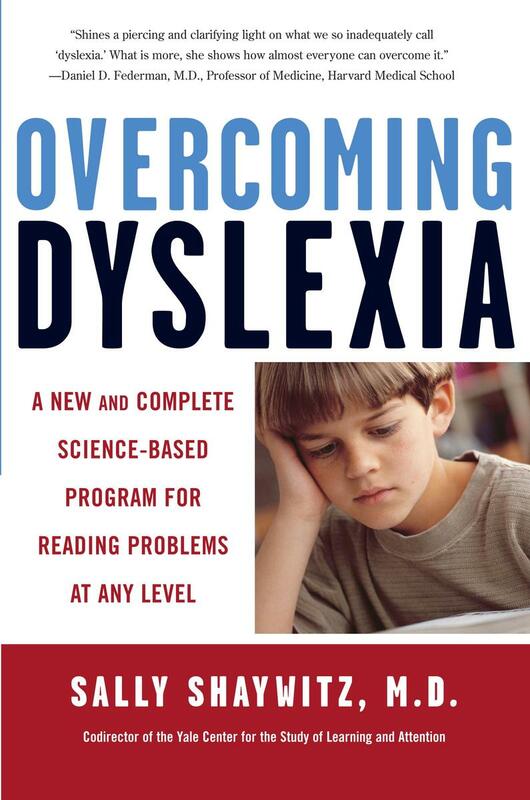 In Overcoming Dyslexia, Dr. Sally Shaywitz, co-director of the Yale Center for Dyslexia & Creativity, offers the latest information about reading problems and proven, practical techniques that, along with hard work and the right help, can enable anyone to overcome them. Here are the tools that parents and teachers need to help the dyslexic child, age by age, grade by grade, step by step. Informative article for parents interested in promoting responsible financial habits for your child.